Debut LP from the excellent French quartet Rose Mercie. 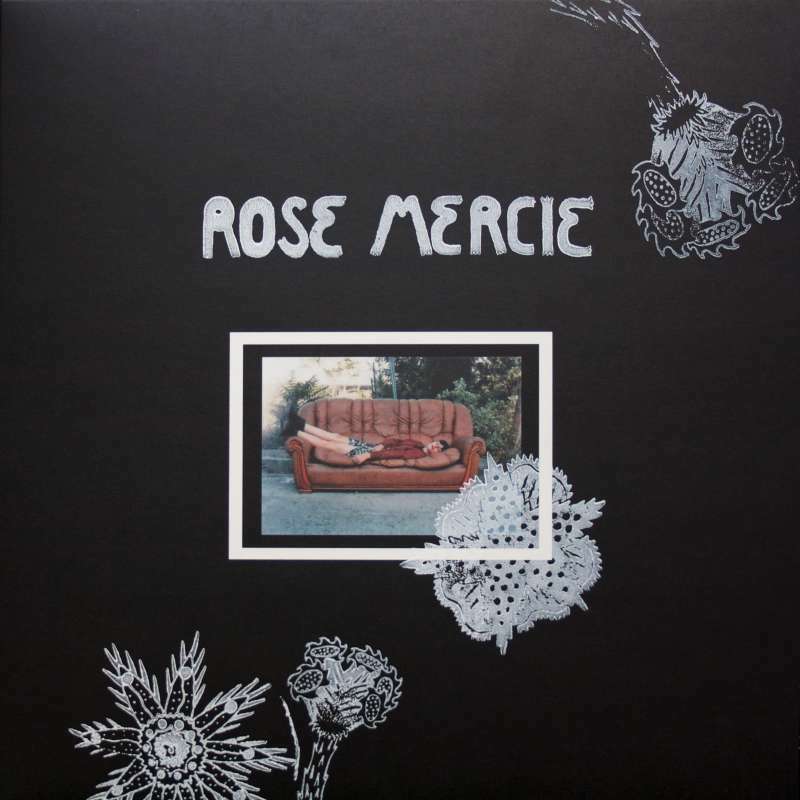 Landing somewhere between The Shangri-Las, Raincoats, Rosa Yemen, Sleater-Kinney, Josephine Foster or Marianne Faithfull, the sound of Rose Mercie subtly integrates many influences. Active since 2013, Rose Mercie is finally releasing its first album now in 2018. The chemistry between these four musicians (Charlène, Inès, Louann, and Michèle) is palpable and propels each song in a swarm of sometimes negative imagination and sometimes sweet bitterness. At times melancholic and moving, percussive but also bestowed with magnificent vocal harmonies, this album is to be savored in its rawness. Indeed for me, the voices are the centerpiece of this brilliant first record. Very happy to be working with SDZ Records and Jelodanti who are releasing this LP in Europe. Hand stamped sleeve.